One off piece. Prehnite rutile quartz set in oxidised silver with pompom and tag detail. 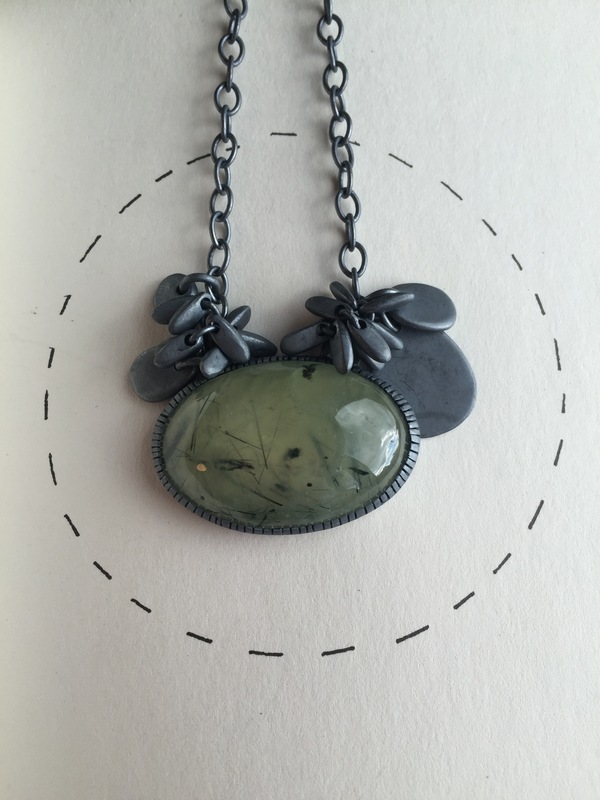 Jo Lavelle’s jewellery is lovingly created from her studio at Local Creation in Altrincham and has run a successful jewellery studio since graduating in 1996. 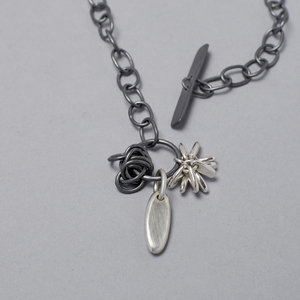 Jo use’s mainly silver in her designs with touches of gold. 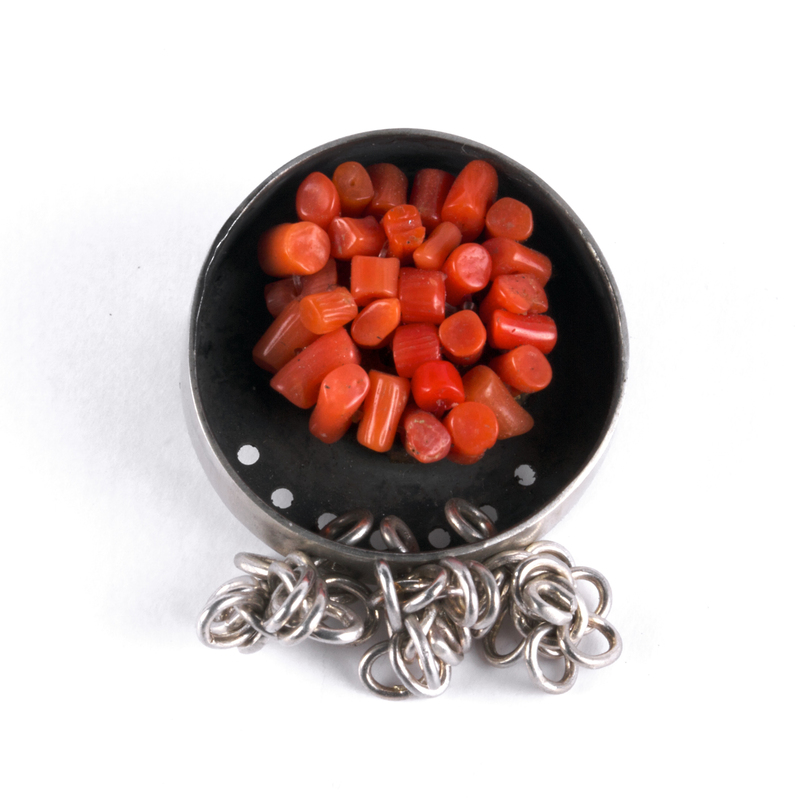 All pieces are handmade using traditional jewellery making techniques and casting. 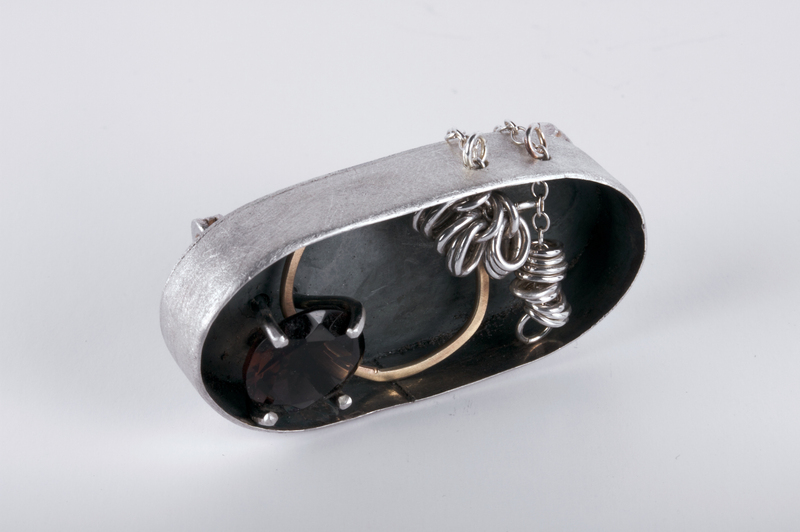 Her jewellery style can be described as fun, moveable, multi-layered, textured and playful. The most popular range of jewellery made is called Pompom. Pompom is characterised by the use of small silver tags that are bunched together in various ways adding a textural shape and a voluminous kinetic effect that is pleasurable to the wearer. 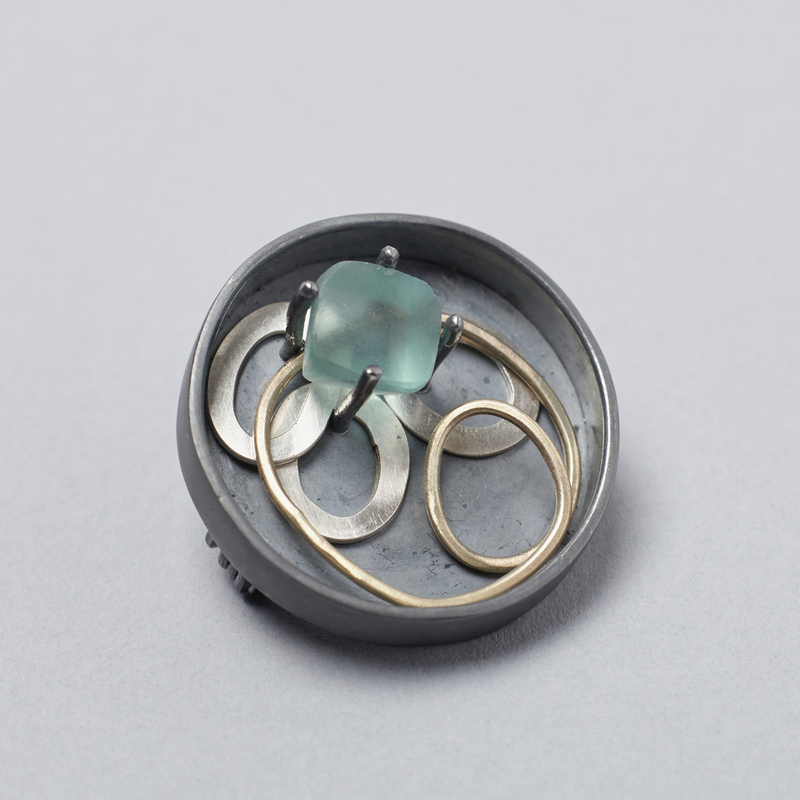 Soldering is a particular skill honed by Jo as each ring is individually soldered to keep all units safe and making all jewellery very wearable. 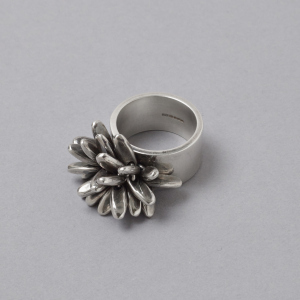 Pompom ring semi oxidised finish. Handmade loopy chain, pompom with T bar detail. Alongside the wearable range Jo produces one off pieces for exhibitions and shows. These pieces compliment my wearable pieces and often include hand cut stones, carefully sourced semi precious stones and sometimes vintage stones or beads. New work will from Jo will see her continue the tag theme with an increase in scale and more investigation into layering techniques. Watch this space! EXHIBITION PIECE. One off piece. Box brooch. Silver, hand cut fluorite & garnet beads. EXHIBITION PIECE. One off piece. Box brooch. Found coral vintage earring, silver & mini loopy detail. EXHIBITION PIECE. One off piece. Box brooch. 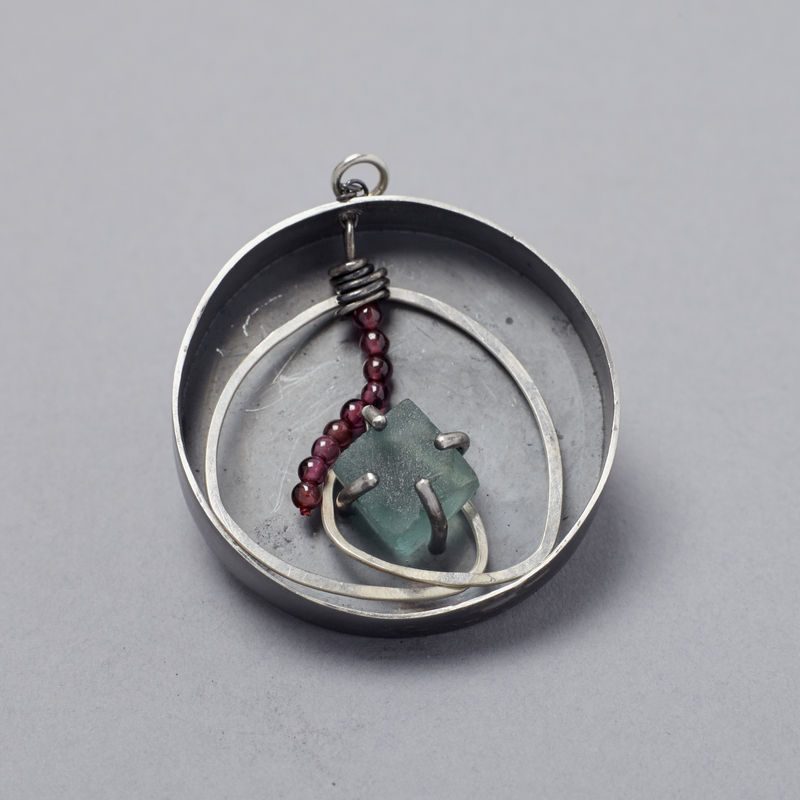 Oxidised silver, hand cut fluorite stone and silver and gold loop detail.